Paying $50-$1000 for Beverwyck cans in top condition. 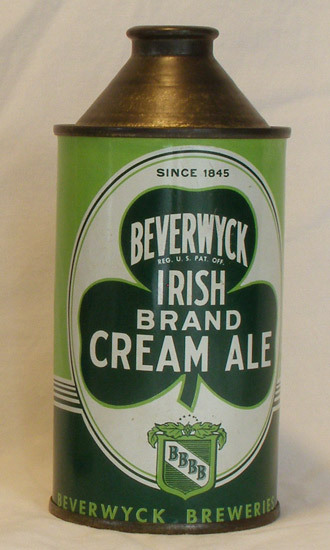 interested in buying vintage Beverwyck Ale and Beer Cans! If you’re selling please contact me. Beverwyck Beer and Ale Cans Wanted! 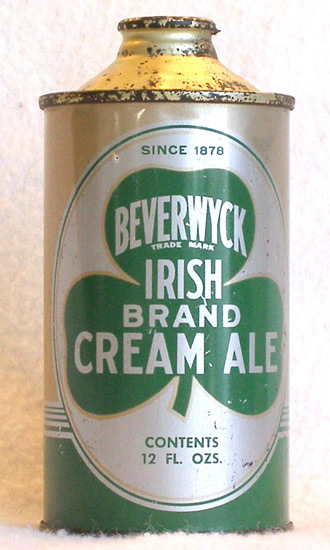 Beverwyck Ale and Beer was produced by Beverwyck Brewing Company of Albany, NY. Their brews were put into beer cans for many years beginning in 1936 and ending in the early 1950s with the acquisition of the brewery by the F&M Schaefer Brewing company. Thus, there are dozens of labels and variations available to collectors. 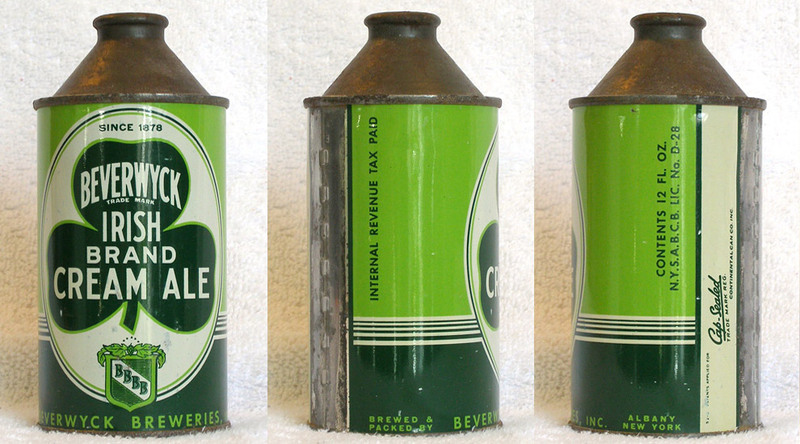 Most of Beverwyck’s beer cans are cone tops, the company having switched to flat tops around 1950 with the acquisition by Schaefer. In fact, Beverwyck is one of the first brewers to contract with Continental Can Company to use their Cap-sealed cone top beer can in 1936. These earliest Beverwyck cans have inverted ribs on the spout and flat bottoms. Beverwyck also put their beer and ale into Crowntainer cone tops and quart cone top berr cans. Labels considered rare and most desirable include those marked “Export”, early inverted rib cans, certain quart cone tops, and the Crowntainer cans. 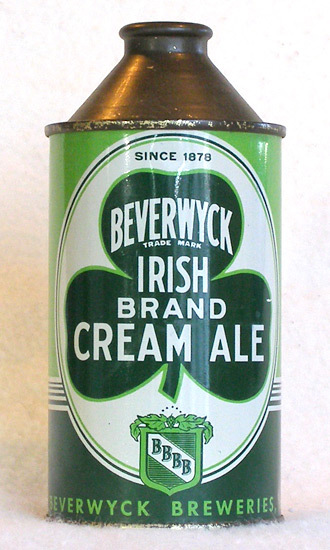 Beverwyck reopened after Prohibition in 1933 with six products: Beverwyck India Ale and Porter, which they produced only through 1944; and Beverwyck Ale, Bock, Beer and Irish Cream Ale. 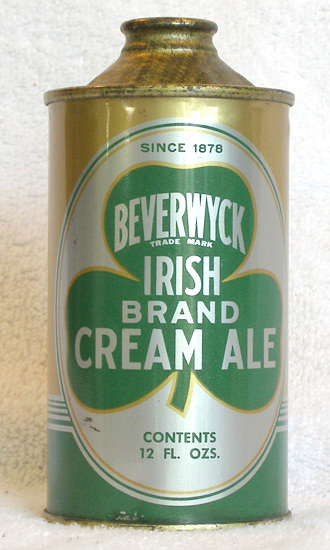 Schaefer continued to produce Irish Cream Ale well into the 1950s as it had been Beverwyck’s flagship brand. The Albany plant was closed by Schaefer in 1972.